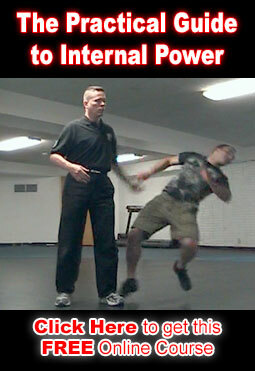 This is lesson 2 in our free online Wing Chun Training. Rapidly build your sticking & trapping skills with this simple game. Both people stand facing each other in the Wing Chun Stance from lesson 1. Both people hold their arms out and make contact with their partners arms. Play for a few minutes and then switch roles. This sticking and controlling is a core skill of Wing Chun. Partner A as is focused on building their ability to stick no matter what and partner B is learning to stick and trap to get a hand free. Later on you will use these skills to trap both of the opponents hands so they cannot strike you while can strike them.